Rum, lemonade, club soda over ice with a warm sugar cube! With each purchase of a Cajun Lemonade at the concert partial proceeds go to support the Buffalo Scholarship Foundation. Opening Act: Bobby Blackmon and the B3 Band! This concert is the headliner for Cajun, Cruise, and Blues event on Spanish Springs Town Square. This concert benefits the Buffalo Scholarship Foundation for The Villages Charter Schools. For wristband purchases made online, please pick your wristband up at any of The Villages Box Offices, located at all three town squares, The Savannah Center, and The Sharon! This concert is the headliner for Cajun, Cruise, and Blues event on Spanish Springs Town Square benefitting the Buffalo Scholarship Foundation. Whether she's belting out a raucous blues-rocker, firing up a blistering soul-shouter, bringing the spirit to a gospel-fueled R&B rave-up or digging deep down into a subtle, country-tinged ballad, Shemekia Copeland sounds like no one else. With a voice that is alternately sultry, assertive and roaring, Shemekia's wide-open vision of contemporary blues, roots and soul music showcases the evolution of a passionate artist with a modern musical and lyrical approach. The Chicago Tribune said Copeland delivers "gale force singing and power" with a "unique, gutsy style, vibrant emotional palette and intuitive grasp of the music." NPR Musicsays she is "fiercely expressive." Copeland's return to Alligator Records with Outskirts Of Love (she recorded four albums for the label from 1998 through 2006) finds her at her most charismatic, performing roots rock, Americana, and blues with power and authority, nuance and shading. Produced by Oliver Wood, Outskirts Of Love is a musical tour-de-force, with Copeland rocking out on the title track, taking charge in Crossbone Beach, honoring her father, the late Johnny Clyde Copeland with her Afro-Beat-infused take on his Devil's Hand, tackling homelessness in Cardboard Box and showing off her country swagger on Drivin' Out Of Nashville. She puts her stamp on songs made famous by Solomon Burke (I Feel A Sin Coming On), Jesse Winchester (Isn't That So), Brownie McGhee & Sonny Terry (The Battle Is Over), Creedence Clearwater Revival (Long As I Can See The Light), ZZ Top (Jesus Just Left Chicago), Albert King (Wrapped Up In Love Again) and Jessie Mae Hemphill (Lord Help The Poor And Needy). Friends including Billy Gibbons, Robert Randolph, Alvin Youngblood Hart, Will Kimbrough and Pete Finney all add their talent with unbridled enthusiasm. The result is Copeland's most decidedly contemporary and musically adventurous album of her still-evolving career. Shemekia Copeland was born in Harlem, New York on April 10, 1979, and came to her singing career naturally. 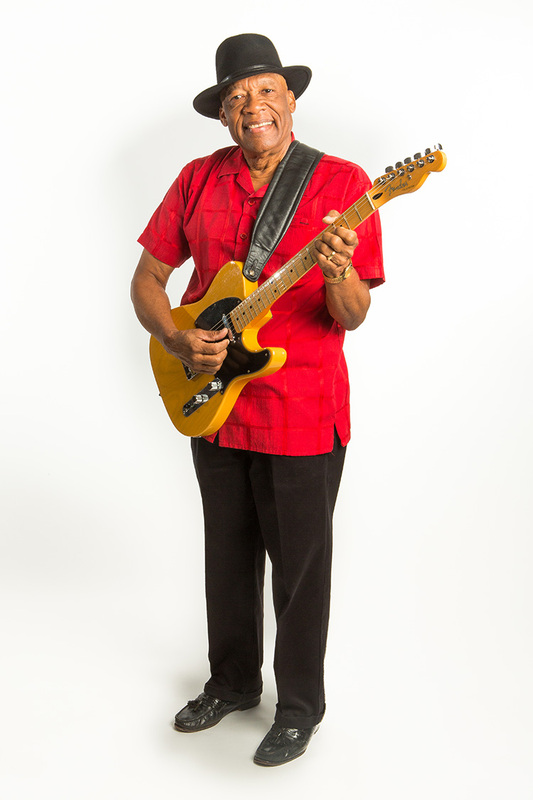 Her bluesman father recognized his daughter's talent early on. He always encouraged her to sing at home and even brought her on stage to sing at Harlem's famed Cotton Club when she was just eight. At that time Shemekia's embarrassment outweighed her desire to sing. But when she was 15 and her father's health began to slow him down, she received the calling. "It was like a switch went off in my head," recalls Shemekia, "and I wanted to sing. It became a want and a need. I had to do it." At 16, Shemekia joined her father on his tours after he was diagnosed with a heart condition. Soon enough Shemekia was opening, and sometimes even stealing, her father's shows. "She grabbed the crowd with her powerful voice, poised and intense," raved Blues Revue at the time. Eventually, though, it became clear to Shemekia who was helping whom. "Dad wanted me to think I was helping him out by opening his shows when he was sick, but really, he was doing it all for me. He would go out and do gigs so I would get known. He went out of his way to get me that exposure," recalls Shemekia. Shemekia stepped out of her father's shadow in 1998 with her groundbreaking debut CD, Turn The Heat Up, recorded when she was only 18. Critics from around the world celebrated her music as fans of all ages agreed that an unstoppable new talent had arrived. News outlets from the New York Times to CNN took note of Copeland's talent, engaging personality, and true star power. "Nothing short of uncanny," said the Village Voice. "She roars with a sizzling hot intensity," added theBoston Globe. Copeland followed up with 2000's Grammy-nominated Wicked, 2002's Talking To Strangers(produced by Dr. John) and 2008's The Soul Truth(produced by Steve Cropper). In that short period of time, she earned eight Blues Music Awards, a host of Living Blues Awards (including the prestigious 2010 Blues Artist Of The Year) and more accolades from fans, critics and fellow musicians. Two highly successful releases on Telarc (including 2012's Grammy-nominated 33 1/3) cemented her reputation as a singer who, according to NPR's All Things Considered, "embodies the blues with her powerful vocal chops and fearless look at social issues." USA Today says, "Copeland is a singer with fervor and funk, power and range." Copeland has performed thousands of gigs at clubs, festivals and concert halls all over the world and has appeared on national television, NPR, and in newspapers, films and magazines. She is a mainstay on countless commercial and non-commercial radio stations. She's sung with Eric Clapton, Bonnie Raitt, B.B. King, Buddy Guy, Mick Jagger, Keith Richards, Carlos Santana, James Cotton and many others. She opened for The Rolling Stones and entertained U.S. troops in Iraq and Kuwait. Jeff Beck calls her "f*cking amazing." Santana says, "She's incandescent… a diamond." At the 2011 Chicago Blues Festival, the City of Chicago and the State of Illinois officially declared Copeland to be "The New Queen Of The Blues." In 2012, she performed at the White House for President and Mrs. Obama. Afterward, Jagger (with whom she sang) sent her a bottle of champagne. With Outskirts Of Love and a packed tour schedule, Copeland has her eyes fixed firmly on the future as she continues to break new musical ground. "I want to keep growing, to be innovative," she says. "I'm a lifer, singing about things that bother me, using my music to help people. My dad always said ‘we're all connected.' I'm an old soul marching to the beat of my own drum," she continues, "And right now I'm making the most exciting music of my career." 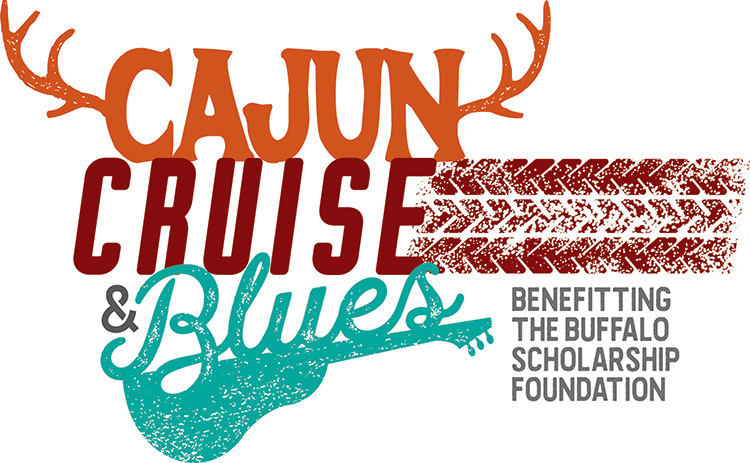 What is the Cajun Cruise & Blues Event? This is a full day of food, fun, and entertainment in The Spanish Springs Town Square on Jan 19th; hosted by The Villages Charter School Buffalo Scholarship Foundation. This event is a fundraiser to help raise scholarship finances for our graduating Villages High School Seniors! How will the Event unfold in Spanish Springs on Jan 19th? How do I get a GOLD Wristband and what benefits does it have? All Wristbands are sold at all of The Villages Box Offices. The Gold Wristbands are ON SALE NOW. You will receive it when you purchase a Ticket to see Shemekia Copeland's performance at The Sharon (all seats are only $20-$47) and then just add $3 to that seat price to get the wristband. The Gold Wristband allows you to eat at the Cajun Cooking Competition in the Town Square that same day from 12-2pm and permits you to receive any discounts participating restaurants in the square are offering. These silicon wristbands are great keepsakes! How do I get a GREEN Wristband and what benefits does it have? All Wristbands are sold at all of The Villages Box Offices. The Green Wristbands are ON SALE NOW for only $10. It allows you to eat at the Cajun Cooking Competition in the Town Square that same day from 12-2pm and permits you to receive any discounts participating restaurants in the square are offering. How do I get Tickets to see Bobby Blackmon & the B3 Band, Shemekia Copeland, & The Villages High School Jazz Band? You can purchase Tickets at all of The Villages Box Offices, online www.TheSharon.com, and even over the phone at (352) 751-7799. All three of these groups will be performing inside of The Sharon. Tickets to see all three are only $20-$47 and all proceeds go to the same great cause! Also, once you have your Show Ticket—just add $3 to it and you can get a Gold Wristband to enjoy the entire day-of Event! If you purchase a Wristband online or over the phone, you will need to pick it up in-person before the event. How can I eat the great food at the Cajun Cooking Competition? As long as you have either the Gold or the Green Wristband, you can eat food from any of the Cooking Competitor's booths! What is the theme for the Cajun Cooking Competition? Our theme is Fins, Furs, & Feathers. So come on out to enjoy some wild game, gumbo, jambalaya and hopefully some unique eats that you've never tried before! Can I get a prime viewing seat at The Sharon? The best seats in the house are only $47 to see Bobby Blackmon & the B3 Band as well as Shemekia Copeland, up close and personal on The Sharon stage. For just $3 more, you can get the Gold Wristband with all of its perks too! What restaurants in the town square are offering perks with the Wristbands on Jan 19th? World of Beer, offering Happy Hour all day to wristbands and providing a musician.